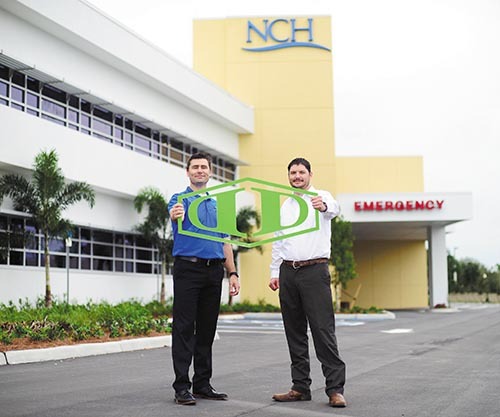 Vice President/Principal Jason Sain and Senior Project Manager, Eric Brackin, in front of Naples Community Hospital, Free Standing Emergency Department. A nationally known construction firm has joined Nashville's rapidly growing healthcare and commercial construction market, bringing decades of industry expertise to Middle Tennessee. Headquartered in Naples, Fla., DeAngelis Diamond recently chose Franklin as a home for its fourth regional office. "Considering the market for resources and talent, Middle Tennessee won out over Denver and Austin, which were also in the running," said Jason Sain, vice president and principal of DeAngelis Diamond. "Many of our clients are based out of Nashville, and we felt we could better serve them by having more of a local presence." DeAngelis Diamond has completed well over $2 billion worth of construction projects ranging in size and value throughout the commercial and healthcare market sectors. Sain said the Nashville office is anticipated to produce a significant and growing amount of the company's revenue this year. DeAngelis Diamond was founded in 1996 by David Diamond and John DeAngelis, who began their construction industry careers as project managers in Southwest Florida. "They soon realized there had to be a better way to build, and a better way to enrich the client, community and subcontractors' experience," Sain explained. Several prayerful months later, the friends launched DeAngelis Diamond from a small executive suite. Today, the company is top-ranked in the United States, licensed to build in over 45 states, and also holds a presence in the Caribbean Islands. DeAngelis Diamond has five fully staffed offices in Naples, Fort Myers, Sarasota, Birmingham and Nashville. Today, the company has built up a diverse project portfolio - with experience ranging from multi-phased renovations to projects in excess of $100 million - serving clients from some of the largest and most well known companies in the country, including Nashville-based HCA. Healthcare construction, with all of its specific requirements and regulations, is one of the company's specialties. DeAngelis Diamond is driven by their seven core values of faith in God, lasting relationships, leadership, integrity, healthy environment, excellence and quality, and their company motto, "the Honor to Build." "Our founders recognized quickly that it really was about relationships and the experience of building projects," Sain said. "Honor and integrity set the company apart. When we make a commitment we keep it, and that's a pretty powerful and difficult thing to do in this industry." 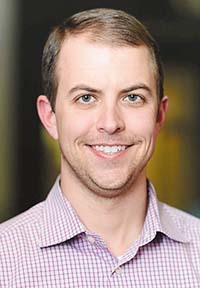 Joshua Rhodes, division manager for the Nashville DeAngelis Diamond office, said those expectations are consistent company-wide. "By the time we're done with a project, it's our goal that we're actually missed," he said. "If our project managers and staff put on those goggles, they can view people and relationships and construction in a different way than our competition. This ties into Biblical principles, and helps us view issues through the lens of who's really in control." Rhodes said the company has received a warm welcome from Nashville's vast healthcare market, from local architects to contractors. "It's a close-knit community and staying in contact with these groups has been beneficial for us," he said. The Nashville office has become involved with a local non-profit, Our Kids, through sponsorship of charity events. They also host monthly leadership luncheons through the Williamson County Chamber of Commerce. Acute and behavioral health facilities are frequent projects for the company, along with rehab and addiction centers. Rhodes said another trend driving healthcare construction is skilled nursing and assisted living, as memory care units are becoming increasingly standard practices in senior living facilities. Freestanding emergency departments are another increasingly common project for DeAngelis Diamond. "There's nothing too small or too complicated that we won't look at," Rhodes said, "We consider it an honor to build for our existing and new clients, and we don't take that responsibility lightly." Construction site photo: "Jason Sain and Eric Brackin" is a photo of our Vice President/Principal you interviewed (Jason Sain) and Senior Project Manager, Eric Brackin, in front of Naples Community Hospital, Free Standing Emergency Department.